Following a lengthy period of consultation, the Government of Malta has announced revisions to the earnings and asset rules associated with its favourable taxation system designed to appeal to those earning over 133,000 euros per annum. Earlier fears about the nature of the changes have not been realised and the beneficial tax rules are available to EU citizens including those from the UK. Those who acquire property at the fairly modest level of 400,000 euros and who elect to pay a minimum of 20,000 euros a year in taxation, will be eligible for a marginal rate of taxation of 15% if they elect for permanent residency. This, combined with an attractive regime for Company registration, makes it attractive for those earning over 133,000 euros a year to be based in Malta. Separate rules apply to those from non EU countries - the major difference being the requirement for the payment of a bond. The new scheme is expected to give an added boost to a property market that has remained remarkably robust during the crisis that has engulfed other popular European destinations such as Spain, Portugal and Cyprus. Malta was recently in the headlines as the Country with the fastest growth in the eurozone. 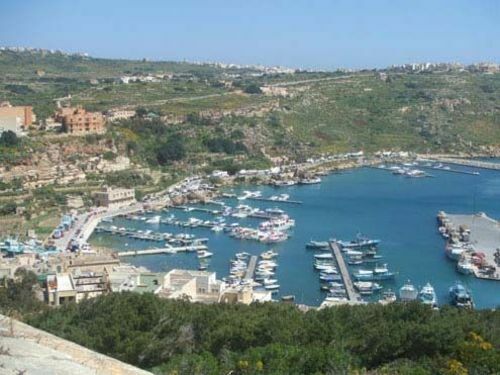 Malta’s economy grew by 2.8% in the second quarter of 2011 compared with the rest of the eurozone where growth was a meagre 0.2% according to Eurostat. Unemployment was at a respectable 6.3% and exports were up 50%. The only cloud on the horizon was the potential fall in demand from Malta’s European neighbours. “Permanent residency on Malta has been increasingly popular for those on all levels of income. However the new taxation rules for higher earners ends a period of uncertainty and will further boost a property market characterised in the last 2 years by relatively strong demand for higher value properties. Upwardly mobile high flyers are increasingly basing themselves in Malta where its piviotal location in Europe is perfect for global commercial markets. Even before these changes,, the whole market has been doing well in recent years despite the doom and gloom elsewhere. In particular, we have noted that many younger UK residents are leading the flight to a better quality of life. Ray will be a ‘Place in the Sun Live’ property exhibition at Birmingham NEC from Friday 30th September to Sunday 2nd October, in association with Frank Salt Real Estate of Malta. This press release was distributed by ResponseSource Press Release Wire on behalf of Marathana Marketing and PR Ltd in the following categories: Personal Finance, Business & Finance, Travel, Construction & Property, for more information visit https://pressreleasewire.responsesource.com/about.